Thyroxine or T4 is a hormone made by your thyroid. L-thyroxine, also known as levothyroxine, is a synthetic T4 thyroid replacement hormone. The generic name for this medication is levothyroxine and it's sold under the brand names Sythroid, Levoxyl, Unithroid or Tirosint. Levothyroxine is the most common drug used to treat hypothyroidism -- an underactive thyroid. Because your thyroid produces the hormones that control metabolism, hypothyroidism can often cause weight gain. Taking levothyroxine will replace needed hormones and boost metabolism, which may lead to weight loss. Your thyroid gland produces T3 and T4 hormones, which control the rate at which your body burns calories and oxygen -- that is, your metabolic rate. When your thyroid slows hormone production, your metabolism slows; so does your heart rate and other functions. You may feel tired, weak and sensitive to cold and you may gain weight. The most common treatment for hypothyroidism is a replacement hormone supplement -- levothyroxine. Once you have the correct balance of thyroid hormone, your metabolism will right itself and you will have an easier time losing weight. If your metabolism slows down, you burn fewer calories, even at rest. If you continue eating the same amount of food, you will start to gain weight. 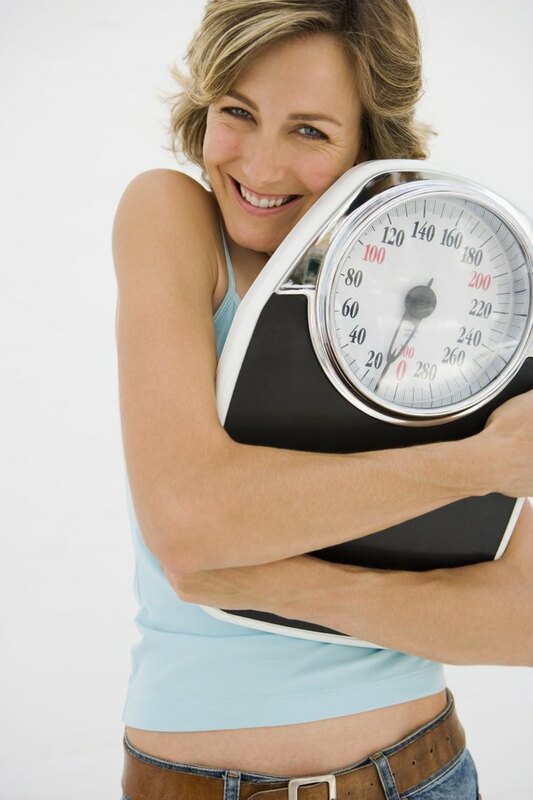 According to the American Thyroid Association, the more severe the hypothyroidism, the greater the weight gain. However, it's not always fat gain; the ATA says that 5 to 10 lbs. of the weight that hypothyroid patients gain is an accumulation of excess salt and water. Once hypothyroidism is controlled by taking L-thyroxine you could expect to lose some weight -- but no more than 10 percent of your current body weight. More than just an underactive thyroid may cause significant weight gain. Once your hypothyroidism is corrected -- it can take several weeks for L-thyroxine to work -- your metabolism will be back to normal. Once your metabolism is stable, you will be able to gain or lose weight like anyone without thyroid issues. Taking a higher dose of L-thyroxine to speed weight loss can have serious medical consequences and is not recommended. Excessive use of L-thyroxine can speed your metabolism and lead to weight loss -- and serious health problems, including an irregular heartbeat, angina, heart attack and a loss of bone mass -- in severe cases it can lead to osteoporosis. Abusing your prescription medication in this way can lead to factitious hyperthyroidism, an overactive thyroid. It may take between 2 and 4 weeks after you lower your dosage for symptoms to disappear.